Although most businesses recognise that their most important marketing tool is their website, most businesses neglect to maintain and monitor their website on a regular basis. Despite a website not having any “moving parts” per se the fact is that website maintenance is absolutely necessary for all business websites. The internet is a fast moving and ever changing landscape. Rules and protocols change on a regular basis as does the level of security required to help protect against unwanted and often harmful intrusions perpetrated by the ever present fraudulent elements in cyberspace. The truth is that nobody could ever guarantee that your business website will never be compromised anymore than anyone could ever guarantee that your business premises will never be broken into. However there are ways of minimising the risk of your business website being unlawfully accessed while at the same time ensuring that your website is performing efficiently and productively. For over 12 years No BS SEO have been at the forefront of website development, security and website optimisation. 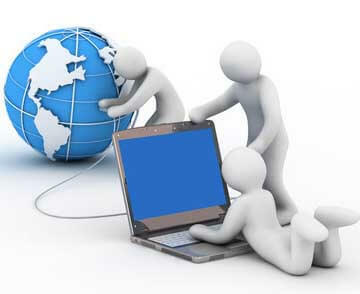 Our in-house team of IT professionals have been providing a wide range of online services from day one and website support and maintenance has and always will be a top priority in our organisation. We make it our business to stay at the forefront of the constant changes and demands of the internet and update our clients websites to meet those changes. Our website support and maintenance team are available for a consultation Monday to Friday during office hours. Call us on 02 8006 2994 or better still contact us via the form below and we will call you.